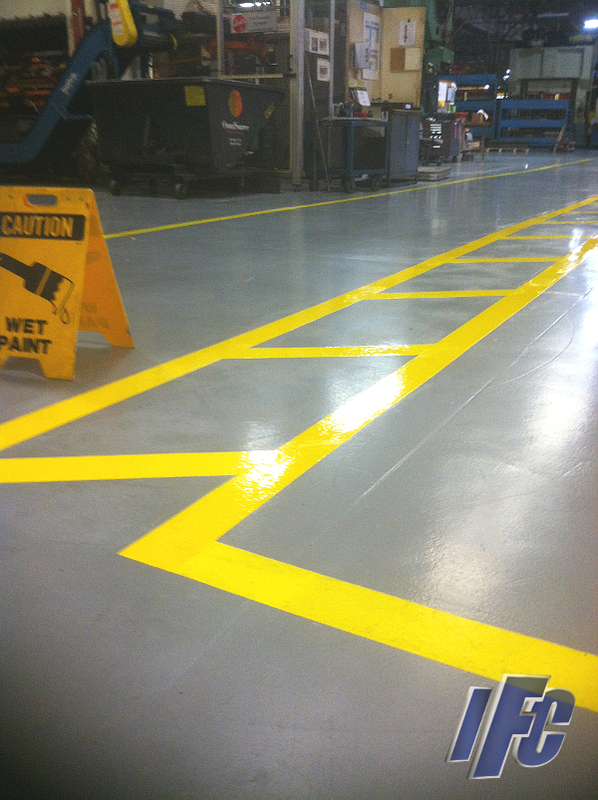 Yellow caution lines manufacturing facility. 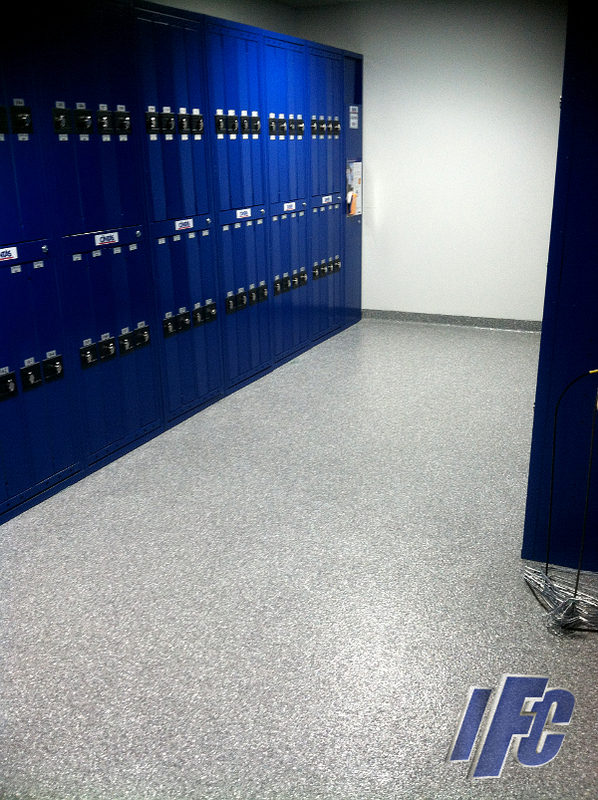 Epoxy (chip) floor system locker room in food processing facility. 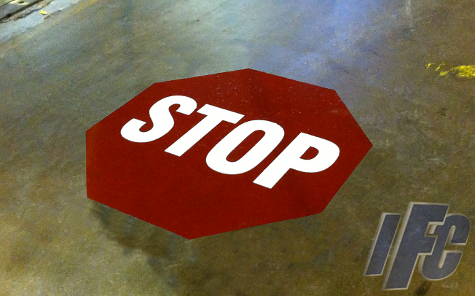 Floor (Stop) sign at steel manufacturing plant. 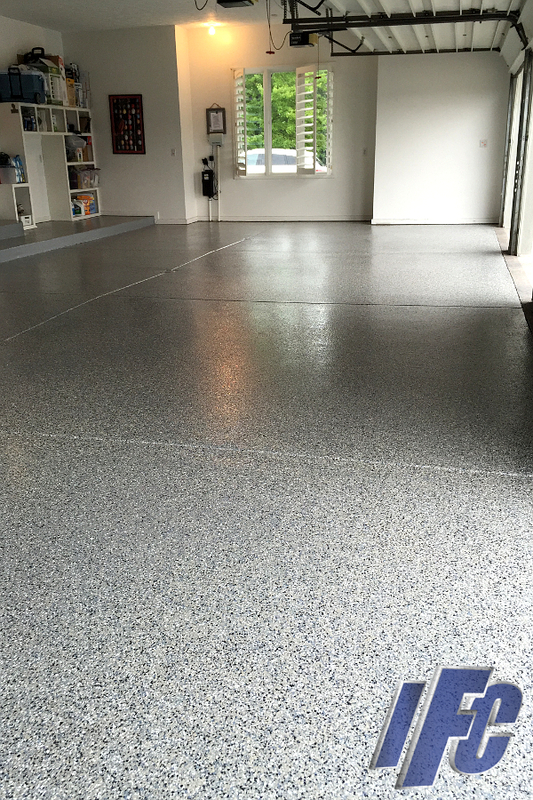 Epoxy (chip) floor system at an entertainment venue. 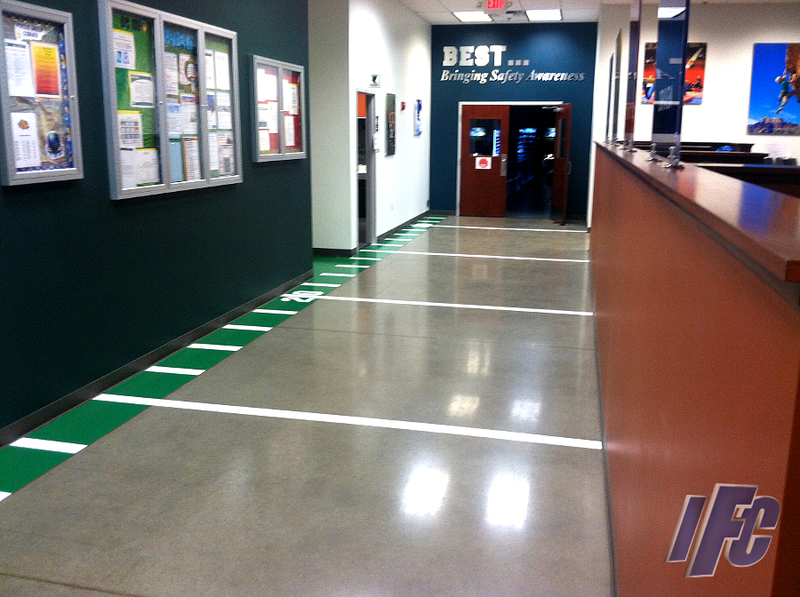 Custom epoxy football field line work at store corporate office and distribution facility. 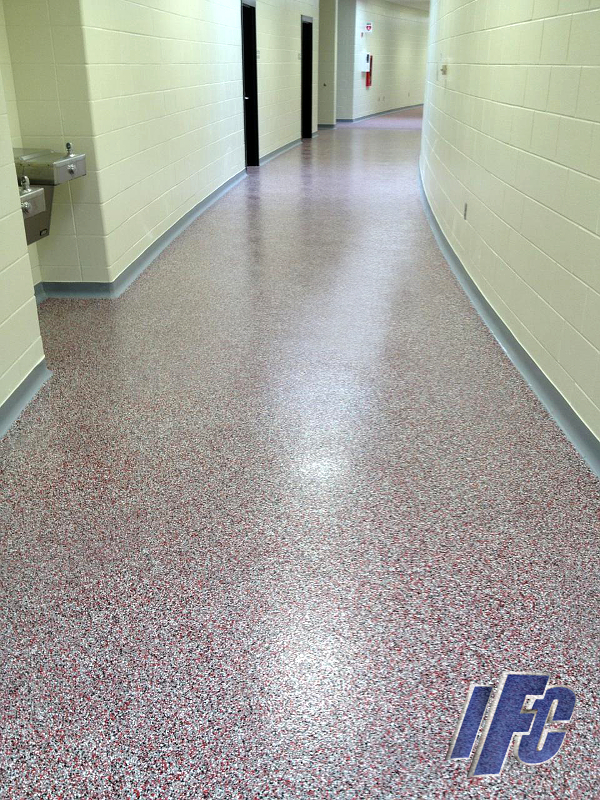 Indianapolis Floor Coatings is a full-service professional industrial, commercial and residential epoxy floor coating company proudly dedicated to serving the state of Indiana since 1999. 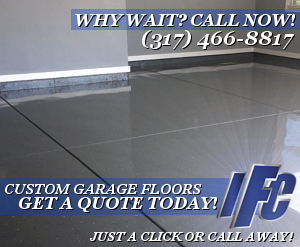 Trusted by many of the biggest companies in the world as well as thousands of Indiana homeowners and residential customers. 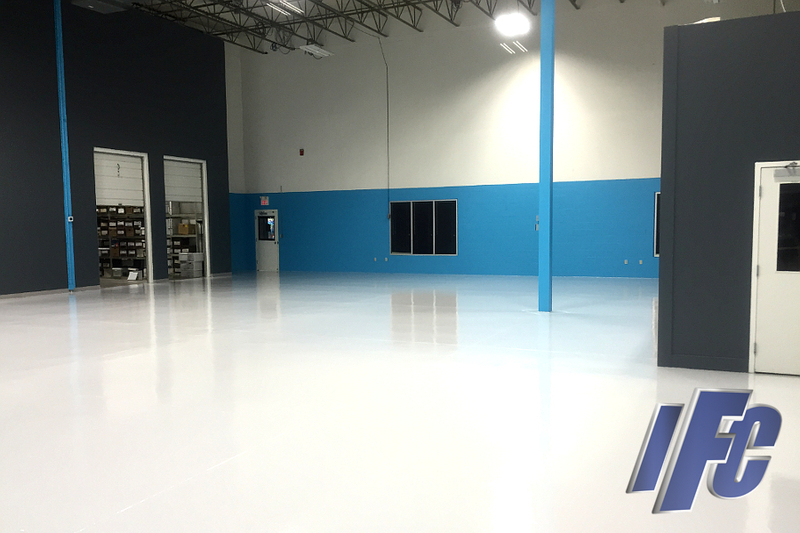 From a simple garage floor to an entire factory floor, IFC will provide long-lasting industrial and residential/commercial surface coating systems and general repairs with a wide variety of finishes, textures and colors to choose from. 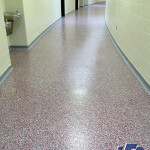 Indianapolis Floor Coatings Staff & Crew are dedicated to excellence and committed to serving the needs of our customers. At IFC we use only the very best materials and employ professionals to make sure every project is completed on time and to the customers complete satisfaction. 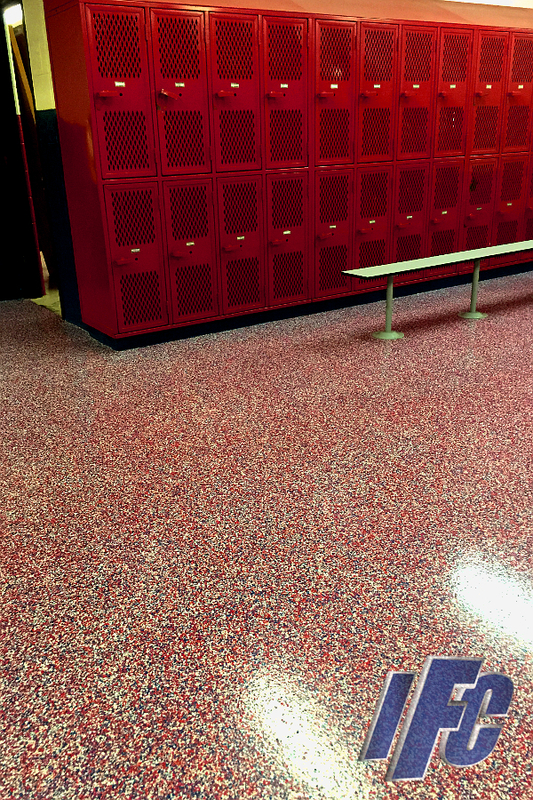 At Indianapolis Floor Coatings we take pride in making our customers happy. 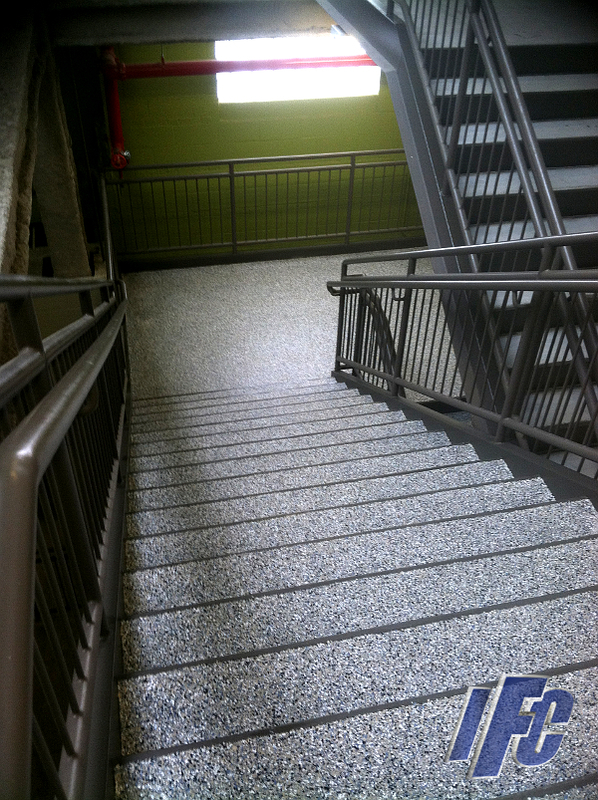 We can provide you with an estimate for your next project, big or small… just give us a call!